We love things that do double duty as something else. 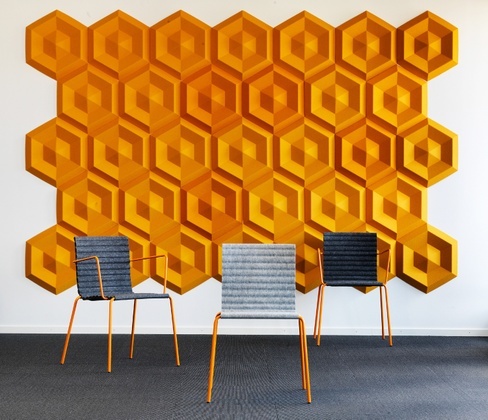 That is why we are totally digging these sound absorbent panels from Johanson Design. Not only do they take the edge out of room by absorbing some noise, especially useful in a room full of hard surfaces, but they are so beautiful when put together. They'd make a terrific looking feature wall in any home, or commercial application for that matter. You can see, and learn more here.